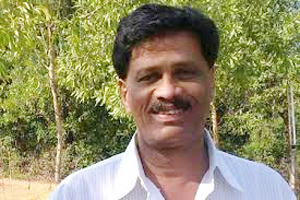 Udupi, May 28, 2015: In a new twist to the case wherein Kundapur’s independent MLA Halady Srinivas Shetty was reportedly threatened by dreaded underworld don Ravi Poojary, it is now said that the gangster has showered praises on the MLA and has assured that he would not demand any cash from him. According to the MLA, he had received a call on May 27, Wednesday at around 5 pm by the same person who claimed to be Ravi Poojary and said as above. Poojary immediately informed the police about this. Shetty reportedly told the police that the caller told him that he would not demand a single paisa from him as he had heard praises about him from others. “The caller told me that he was helping a wrong person,” Halady said but refused to reveal the name of that person whom the don was reportedly helping.